And then, about a decade ago, it was the turn for French speakers to rejoice, as the first volume of the Edmond J. Safra French Edition Talmud was published. In France, Switzerland, Belgium, Israel, and Canada, French speakers could now enjoy the many features of the Schottenstein Edition, beautifully adapted into French by a team of scholars, translators, and editors. Just released is the 19th volume of the series, Maseches Chagigah, dedicated by Mrs. Safra in memory of her son, daughter-in-law, and grandson. Maseches Sukkah, volume 2, will be released soon after Pesach, and more volumes are in the works. Can you “parlez-vous francais?” Then you, too, can discover the wisdom of the Talmud. 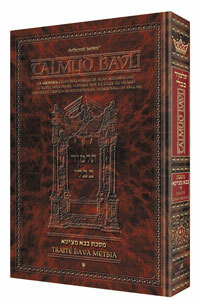 Click here for the entire series (to date) of the Edmund J. Safra Edition French Talmud. Click here for all French titles from ArtScroll.